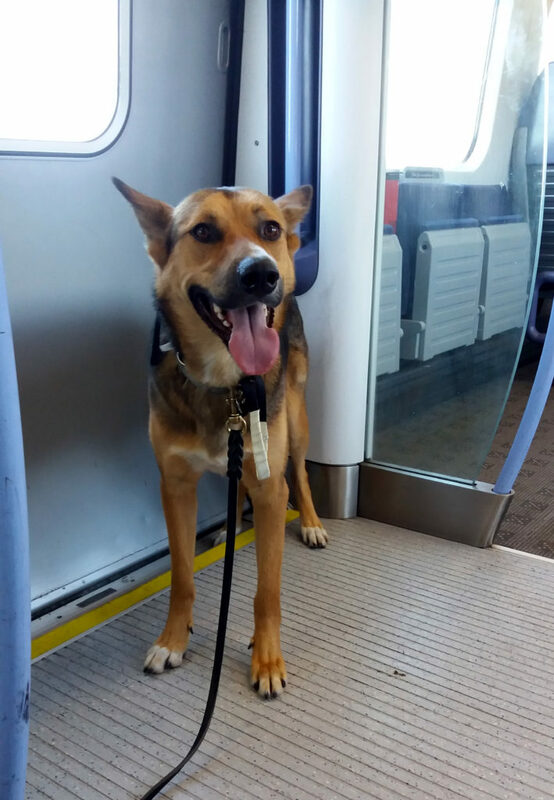 On 13-14 August, Argo the dog and I travelled from London to Venice by train, via Folkestone, Calais and Paris. Being the two of us, I had prepared a very essential backpack (my other stuff would have been carried by my husband by plane). In addition, since tying Argo out of shops, restaurants, etc., was out of question, I figured that I would have to find dog friendly places where to buy food and drinks and toilets with room enough for us both. 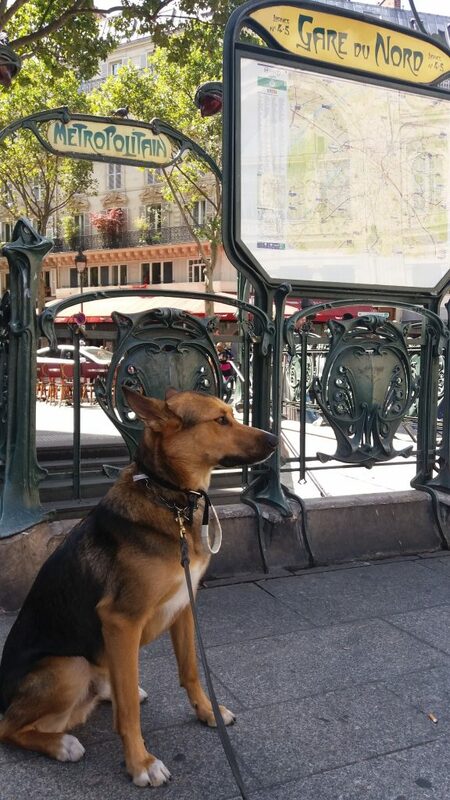 Considering that we had a few spare hours in Paris before catching the next train from another station, I had also put together a Paris dog guide for our afternoon in the Ville Lumière (you can find our “Paris-chien” guide in this blog post). 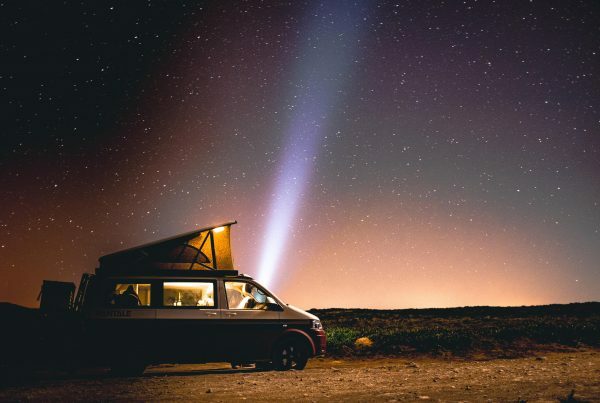 In this post you will find 7 takeaways from our travel, followed by a review of our journey, with tips and information that hopefully will come in handy for your own trip. #1. In Paris it is more likely French will speak (to your dog) in dog-language, than address you in English. So prepare a few “survival sentences”. #2. If you ever wished London be more dog friendly, just wait and see Paris. It is great to see how much Parisians love dogs. Yet, check out Paris’ dog rules in parks and suddenly London will become the more dog friendly city on the planet to your eyes. #3. For how much you bring, Water will never be enough. And we suggest collapsible bowls inventor be nominated for the Nobel prize. #4. Disabled toilets are a blessing. If you ever found tight toilets annoying, you will come to hate them by the end of your dog trip. #5. 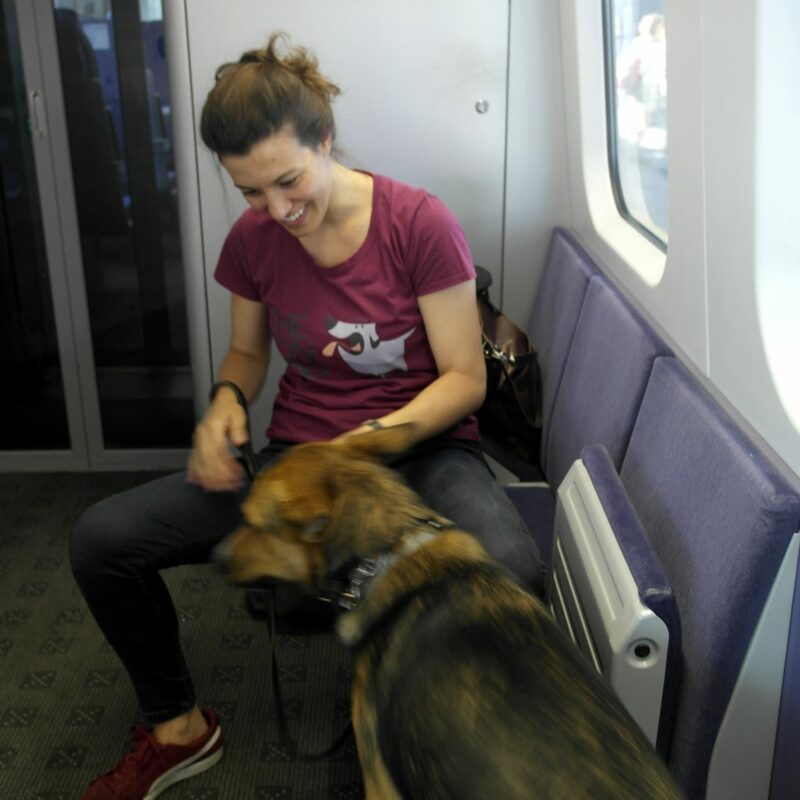 Thello train’s staff will pamper your dog like a king and make you wish to stay on the train forever. #6. No matter how many pictures you take, they will always be too few. Yes, even if they are over 600, like in my case. #7. Upon arrival you will want to do it again. 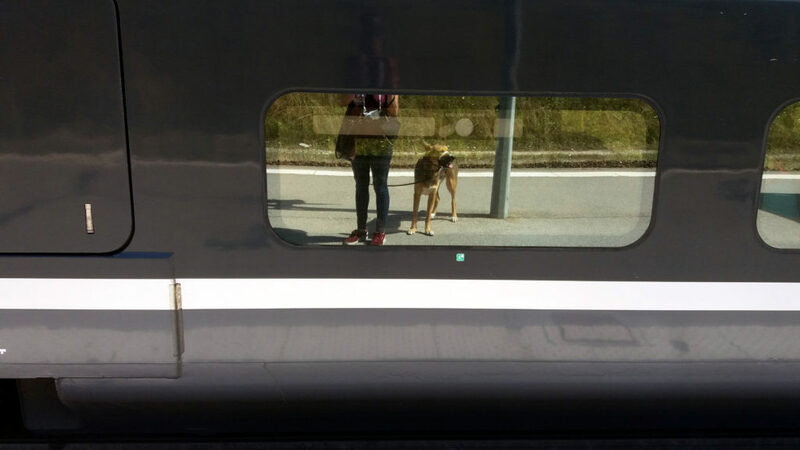 London-Folkestone-Calais-Paris-Venice by train, with a dog, in 27 hours or so, seems crazy, but – if you deliver your luggage, of course – it is actually a very pleasant journey. Instead of sitting endless hours in a car, you and your dog will enjoy a whole new experience and even reinforce your strong bond. So, are you ready to travel with us? This is our journey review… Enjoy and feel free to get in touch and ask any question you may have commenting the blog! When the alarm went off, at 5.40 am, I had already been awake for a while, mentally retracing our journey plan. Argo, stretching and yawning on the side of my bed, looked a bit surprised about such an early morning start. Dethroned from his wet-nose-alarm-clock job, but well aware that something was going on. In a few minutes, he already had had his meal and I had drunk my tea, dressed up, put a 2 liters fresh water bottle in a tote and picked up my backpack. There we were, at 6 am of a Saturday morning, on our way to a new adventure. The day before I had checked the planned tube closures and chosen our escalator-free route to London St. Pancras Station, where we would take the train to Folkestone West. London appeared deserted and silent and the tube amazingly different from the rush-hour. We got to St. Pancras station well before time and had to wait until 7.20am that the notice board confirmed our 7.37 train’s platform number. However, in the meantime we could enjoy the morning light and listen to a talented guy playing the station’s piano. 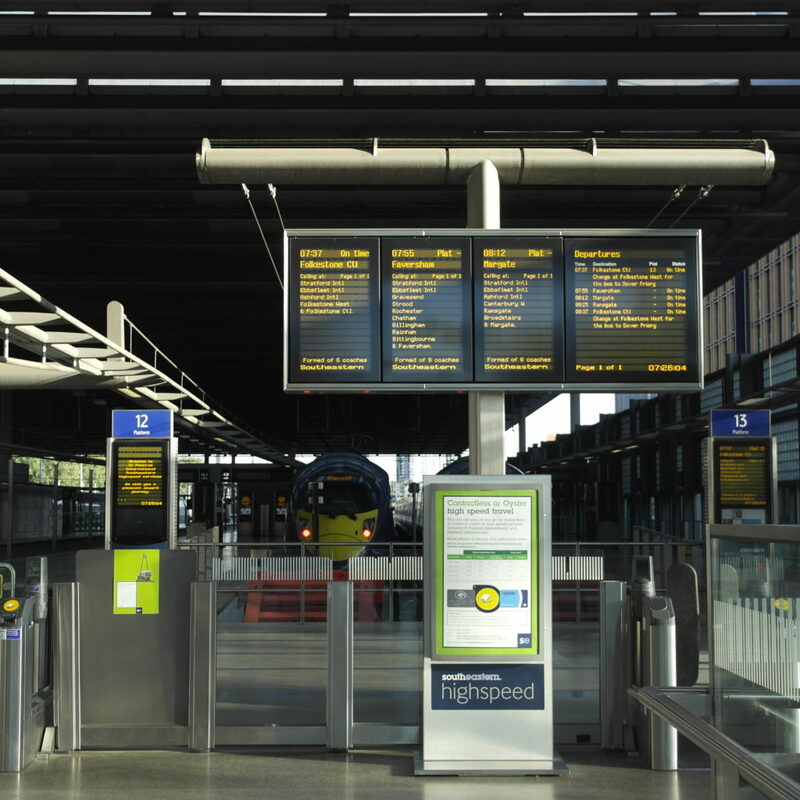 Our Southeastern rail highspeed train was leaving from platform 13, located on the first floor, reachable with a lift close to one of the entrances of the station. 7.28am: London St. Pancras station. Platform 13. Best bits: The desert tube in the early morning. A man playing the piano under the notice board. Our 7.37am super fast train from London St. Pancras to Folkestone West was a pleasant journey. The train also stops at Stratford International station. We chose to sit in the last carriage. The car had a disabled and baby change toilet (this means that, in case of necessity, it has room enough to accommodate both you and your dog). There were not many people and, for me, the temperature in the carriage was perfect: not warm, but not chilling cold. Argo got scared by some very loud clatter noise, and hid under my seat. 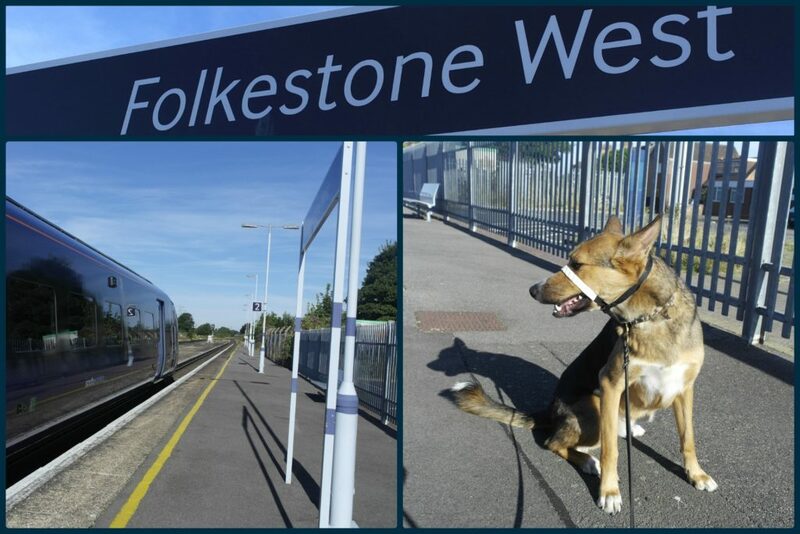 We arrived at Folkestone West’s station a couple of minutes later the scheduled time (i.e. 8.28 am), at 8.30, but we had time for a walk before being picked up by the Pet Taxi. The station has two entrances, one for each side. Getting to Folkestone West from London, you will get off the train on the opposite side from the ticket office, cafeteria and toilets building. It is recommendable that, when you book the Pet Taxi, you specify from which direction you are coming from and agree with the driver the meeting point at one of the entrances. There are no stairs if you come out from the entrance on the platform, while, if you want to reach the other side, there is an underpass with some stairs. The women’s toilets are very spacious and we found it average clean: perfect if you travel alone with your dog. Folkestone West station also has a small take away cafeteria at the main entrance, near the ticket office. Argo and I had also time for a walk in the surroundings of the station. The area was quiet, green and residential, and you could feel the smell of the countryside. Best bit: Walking around the streets of Folkestone West in the shiny morning light. Picking up time scheduled from the Pet Taxi was 9.30am. Our driver was on time and offered us the back seat, with Argo between my legs. He was professional and helpful, and we had a fast and trouble-free journey. We travelled in a very clean Toyota Prius, and Argo lied between my legs during all trip. I was very satisfied of the experience, even if the car was maybe was a bit tight for a large dog, but the travel was short, so that this was not really an issue. Luckily there was not much queue at the UK-French border controls on UK sole, so we could get on board of the Eurotunnel Shuttle before 10.22am, even a bit earlier than the scheduled time. We could not visit and spend time at the Eurotunnel’s dog area (you can read about this in my previous blog post and watch the video here), however a sign indicating the same was spotted (see picture). 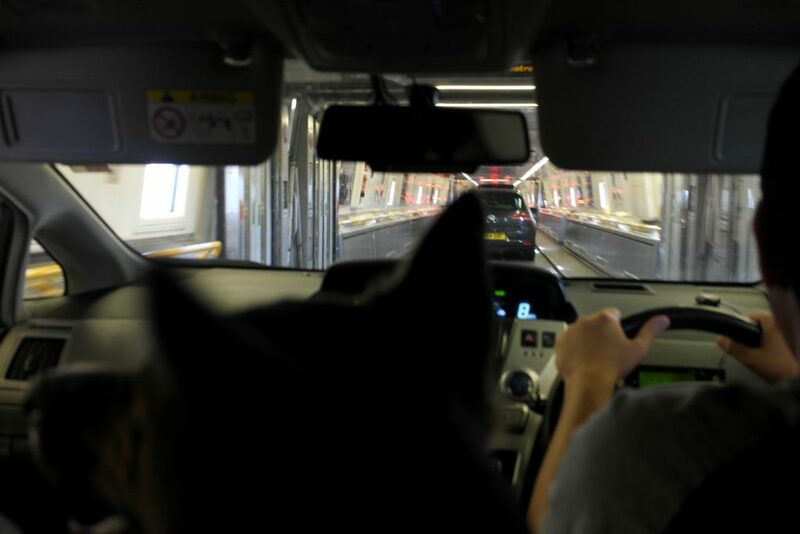 Overall, my impression was that the Eurotunnel is a dog friendly and fast option to get to the Continent (yet quite expensive in August!). 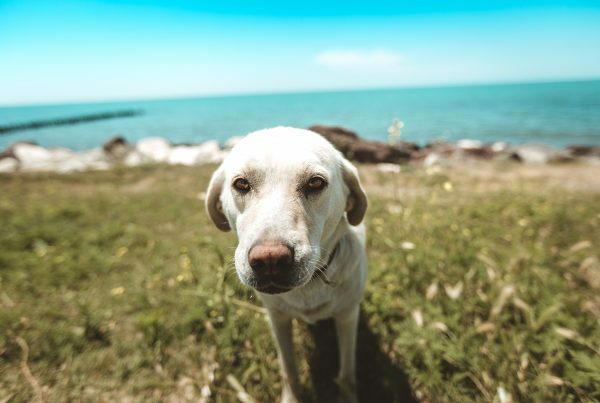 Moreover you get to stay with your dog for the whole travel and do not risk cooking your dog, which in the summer is a blessing. We drove on the shuttle train and stayed in the car for the 35 minutes length of the Channel crossing. Argo slept most of the time. Once the shuttle train got in Calais, we put the clock one hour forward for the timezone (one thing to keep in mind when booking your train from Calais!). The disembarking was very fast and, around ten minutes later, Argo and I were dropped off in front of Calais-Fréthun’s station. 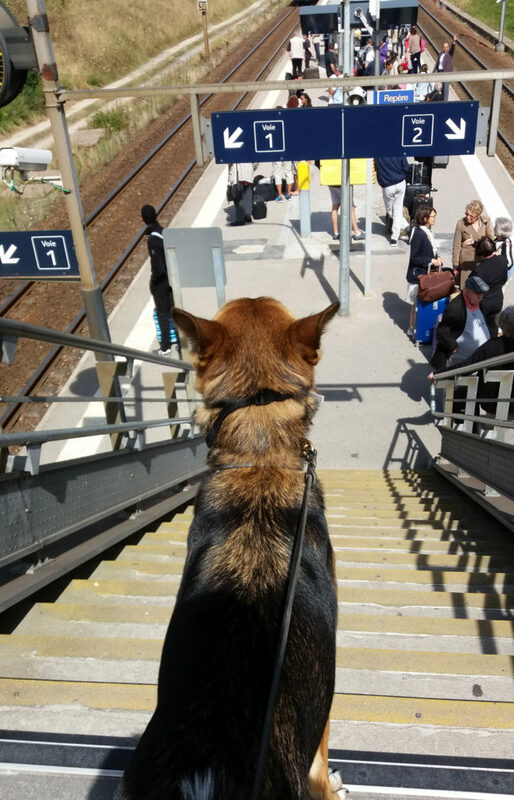 At Calais-Fréthun station, Argo, my (bad) French and I had our first encounter with the French’s attitude for dogs. Which is absolutely great: almost anybody looks at the dog and smiles, comments (“très beau”, you can hear them say), or comes close to ask if they can pet him. 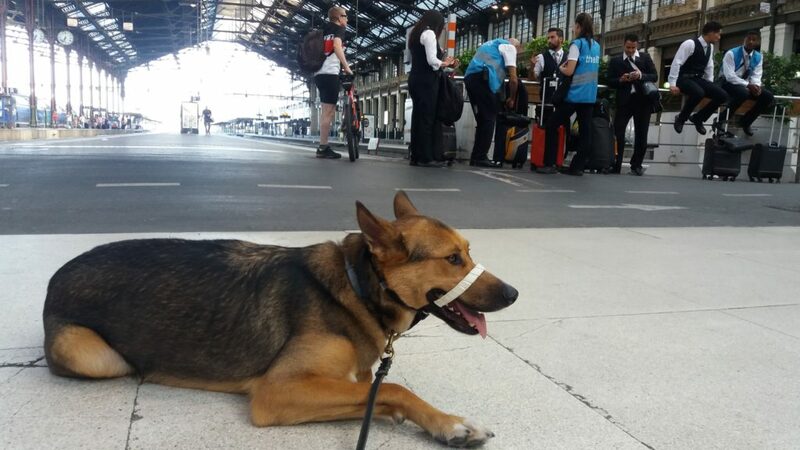 I had previously purchased my TGV ticket to Paris (Gare du Nord) online, but I had to buy Argo-the-dog’s one at the station (I spoke about this issue in my previous blog post). The ticket office is at the entrance of the station and there were only two people queuing, hence this was quite fast. In something that was a mix of French, English and gestures, I explained to the lady at the desk that I already had a ticket for myself, and needed to purchase one for my dog. The lady beamed at the dog through the ticket office’s window, and printed the dog ticket, which cost €21.30. We could then run to the platform: “Voie” 2, taking a few staircases and crossing an overpass. The sun was warm and we found some shadow behind the waiting room built on the platform. Many families were travelling that day, and a few children and persons stopped to ask if they could stroke Argo, and enquired about our trip. The train arrived on time, and at 12.32 we were among the horde of people getting on the TGV. There are not many direct trains from Calais to Paris, so it was a relief that we got to the station on time and that the TGV arrived on the dot. The TGV was perfectly on time and much crowded. I had booked a seat, which, nicely, came out was on the second floor. For me, the air conditioning looked perfect, not freezingly cold but doing its job, and the carriage we were in was fairly quiet. The man sitting beside me was kind and a dog lover, so he was happy when Argo, who had curled up between my legs and the front seat, sometimes put his chin on his shoe. Not much space to lie down, but enough for Argo’s “the closer the better” mood of the journey. Best bit: Getting to see that all French people love dogs. Worst bit: Our TGV carriage’s toilets, micro tiny (no hope to get in with your dog) and very dirty. After 1 hour and 37 minutes on the dot, we arrived in Paris, at the Gare du Nord. It was sufficient to go out from the station and see the beautiful neoclassic facade of the building (designed by Jacques-Ignace Hittorff in the 1860s: more info, in French, here) and the Art-Deco underground entrance to breath Paris’ atmosphere! Argo and I had a few hours to go sightseeing before the 7.11pm Thello train from the Gare de Lyon to Venice. I hadn’t been to Paris in a few years and was well equipped with a hard map and many ideas. We strolled about in the Marais historic district, visited the Ile de la Cité, saw Notre-Dame de Paris (strictly from out of the gardens’ gates, since dogs are not allowed) and had a pleasant walk on Seine’s embankment. Unluckily, most parks on our way were interdicted to dogs (I will tell you about it in my next post); I was aware of the fact, but we did not have enough time for dog-friendly park detours. 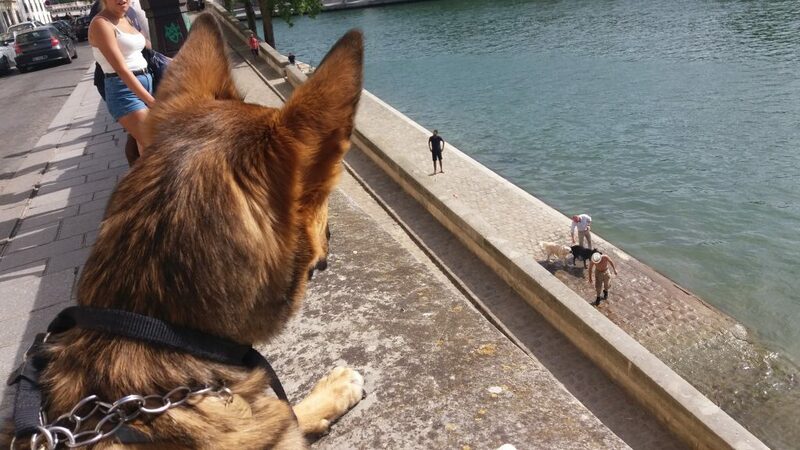 Anyway, I suspect that the most interesting thing for Argo were two labradors he kept watching from the bankside, who were swimming and fetching a tennis ball in the Seine, having a great fun. I am sure he would have gladly ran and joined them. The temperature in Paris was around 28/30°. After one hour in Paris we had already finished the 2 litres bottle of water I had carried. I bought a small one from a creperie’s window, but it was soon gone as well. In the Ile de la Cité I then found a kind shop keeper, who agreed to bring and trade a big bottle of water on the doorstep of the shop, where I was standing since the dog was not allowed inside. By our arrival at the Gare de Lyon, Argo had drunk most of the bottle and myself the rest of it. We reached the Gare de Lyon at 6 pm. Argo had an early dinner out of the station together with a few bowls of water. The notice board was announcing that our night train to Venice, Thello, would have left on time from hall 1, but no platform number was displayed until close to departure (however we could guess the number from the staff crew dressed in Thello’s uniform waiting on the platform). We met two other persons with dogs who were travelling to Italy – a very chatty man with a very obedient Belgian Shepherd and a lady in her 50s with a small pampered crossbreed -, and Argo was glad to make new furry friends. Best bits: Weather and architecture, and, of course, crepes with Nutella! Worst bit: The very restrictive Paris dog rules in parks and gardens. 6.15 pm: Paris Gare de Lyon, resting and waiting for the Thello train. 7.30pm: In our sleeper, on Thello. We had reserved a single sleeper, as required for travelling on Thello with a dog (see my previous blog post). Thello does not look like a very modern train and its air conditioning works a bit oddly (it was too warm during the first hours, then a bit too chilly and dry during the night), but the train is clean enough and the bed comfortable. Thello also offers a welcome drink and breakfast (they gave two vouchers onboard). The best thing, in my opinion, was staff: very kind and helpful crew members and, what is more, extremely dog friendly! An attendant gave Argo some water in a disposable container without even me asking, and offered two disposable sheets to put on the floor and make a dog-bed for him for the night. The toilets are a bit tight, so do not hope to be able to enter with your dog. In theory, you cannot leave it in your cabin unattended, so this is a bit unpractical if you travel alone. Foreseeing the issue, I had booked a cabin close to the toilets and, having no other chance, I had to leave Argo alone in the cabin for a minute. Whilst you are able to purchase your ticket online, you will pay your dog’s one directly onboard to the attendant (€50 by card or cash). Thello train stops in Dijon (9.57pm), Milan (5.50am), Brescia (7.12am), Verona (7.54am), Vicenza (8.43am), Padova (9.06am), before arriving in Venice Mestre at 9.23 and continuing to Venice (where it arrives at 9.36 am). We reached Venice Mestre a couple of minutes later than scheduled, around 27 hours following the start of our adventure. From there, after a walk, we continued our trip to Trieste by car. But this is another story! Best bit: Thello’s staff bringing water for the dog without asking and giving us two disposable sheets to cover the floor and use as a dog-bed. We met the Pet Taxi driver at 9.30 and we were able to get the 12.32 train from Calais-Fréthun to Paris, however, taking into account the different time zone and the possible queues at the border, I would strongly recommend an earlier catch up, at least at 8.45am. I was glad that we spent the afternoon in Paris. It was a sunny and very warm summer day. However, if you prefer a faster journey and are not interested in go sightseeing, I found there was a later direct train from Calais-Fréthun, leaving at 1.37pm and arriving in Paris at 3.14 pm. You will still have a later 4.32pm train in case you miss the 1.37 one – even if the latter would be very tight, since it arrives in Paris at 6.14pm and you need to change station to catch Thello -. I am grateful I did not have to carry a heavy luggage with me, which would have made the trip less enjoyable. I was lucky enough that my husband carried it by plane, however, if I hadn’t such option, I would have delivered my bag to destination with a luggage delivery company. There are a number of affordable carriers offering this kind of service and in many cases you can choose between a fast and an express delivery. 2 litres bottle of fresh water in a plastic bag in a separate tote. For practical information about tickets and journey plan, see my previous blog post. Did you make the same or a similar trip? I would love to hear about your experience! You can leave a comment under the post. In Summer 2017 we did it again and filmed it! Enjoy the video below and find our newest post about the trip here. ©2017 The Londog. All rights reserved. Great post! Wish more people take their dog to travel! 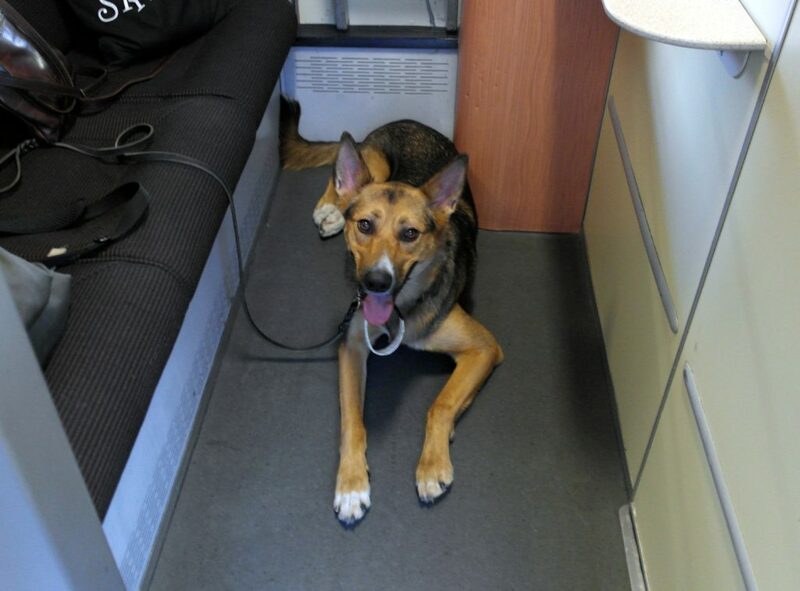 I took my dog Jon Jon from Dublin to Lisbon (and back) in a 48 hours train adventure. Honestly the hardest part is crossing from UK to mainland Europe. (Vice versa is even worse). Eurostar should allow pets to travel. Paris park rules are insane. Funny, but the Eiffel tower park Champs de Mars, dogs seem to be ok.
How much did the Pet Taxi charge you? Did you do the way back? Hi Jonathan, many thanks for your message! Wow, that sound like a Trip! Would love to hear more about it! Which route did you take? I will look for the pictures as suggested. I totally agree that the hardest part of the whole trip is crossing the Channel or otherwise get on mainland Europe. And the most expensive one, in the end. The Pet Taxi charged 120 pounds plus the cost of the Eurotunnel (return, since the taxi driver has then to get back to the UK), which in August is very expensive, but I hear is gets better in other months/seasons (for more comprehensive information, I wrote about tickets, fares etc, here: http://thelondog.com/london-paris-venice-train-dog/). Regarding our way back, we opted for a van (nice to bring also some Italian specialities). Many thanks for your message, Michael. We definitely have to try the Dutch flyer, I read about it on Man in Seat 61’s website. Will most certainly write a review in case we do next year. Many thanks and all the best for your dog trips. 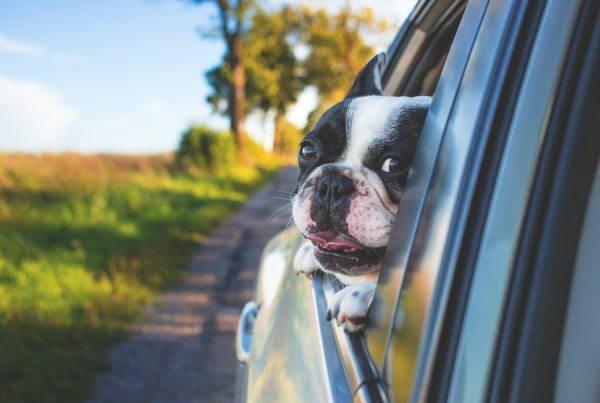 Such a great post – so useful for us as we’re thinking of going from the UK to mainland Europe with our dog for the first time this year – exciting!! 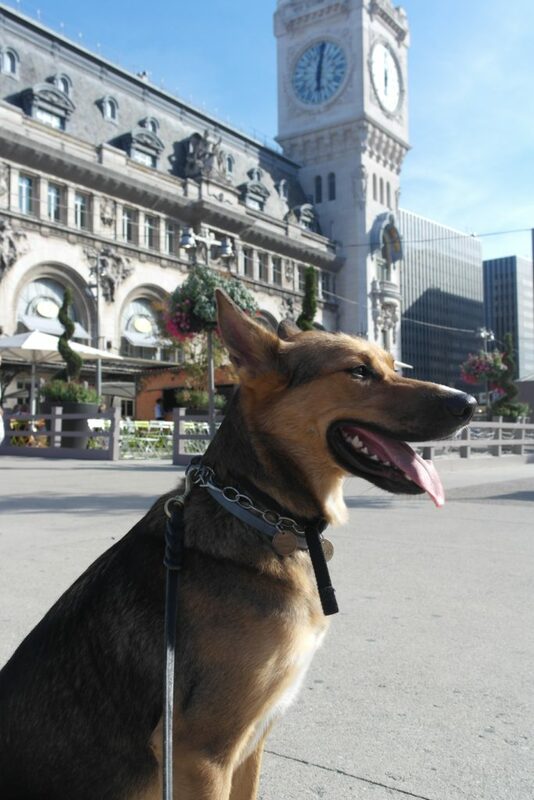 many thanks for your comment, great that you are planning a trip with your dog to mainland Europe! At the border they will scan your dog’s microchip and check its European Pet Passport (if you don’t have one yet you can ask your vet, plus remember you need the rabies vaccination plus a tapeworm treatment when you come back to the UK: you can find all information on this in another post of ours in the Travel section). Checks are more thorough when you come back to the UK. Hi Ceri, that’s great! Good luck with your trip, I hope you find one or more lovely destinations to explore! I really enjoyed reading this and we have now booked to do the same journey, apart from we will change at Milan and then catch the train to Florence. One question: how would you recommend getting from Gare du Nord to Gare de Lyon in Paris? Awesome news! 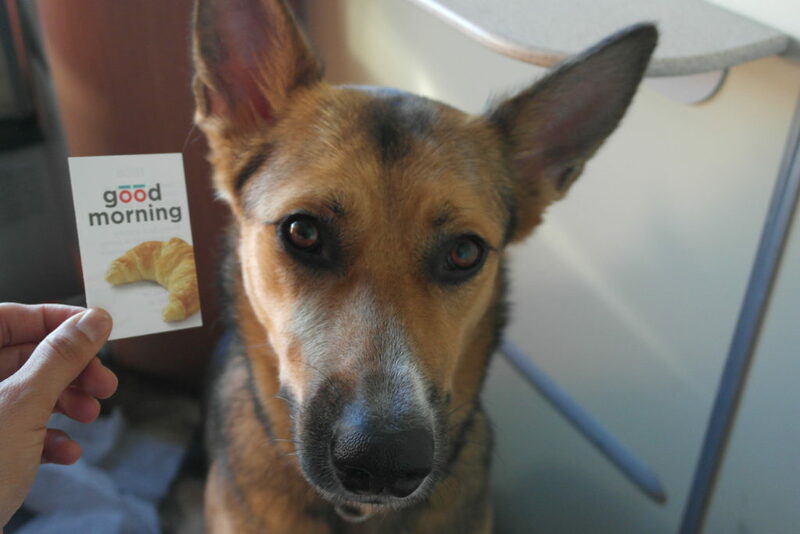 Glad to hear that you will be travelling to Italy by train with your dog! 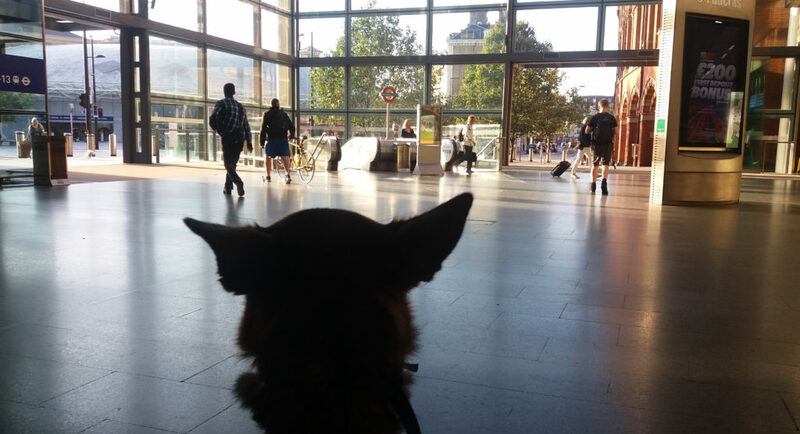 You can get the RER, you will find all information about the planning of this in our blog post Planning London to Venice by train with a dog (via Paris). I hope this is of help and let us know how it goes your trip! Thanks so much! This blog is brilliant! oh nice that you are going on a trip with your dog. In Italy dog food brands are not the same as in the UK, although you can find some of the most common ones (the ones of the big multinationals to be clear), so it really depends on what type of dog food your dog is on. If your dog is on kibble, we used to get Brit Care, which has a good rating on All About Dog Food, although you cannot find it everywhere. Also, friends there use Trainer. In any case, consider that when changing food, dogs can have a bit of an adjustment period, so they recommend to introduce the new food gradually. Have a very lovely trip! Where did you buy your muzzle? Thank you Arch. He did not go until we arrived in Venice, as he is trained to do. Upon arrival in Venice Mestre we went straight out of the station were he could relieve himself. 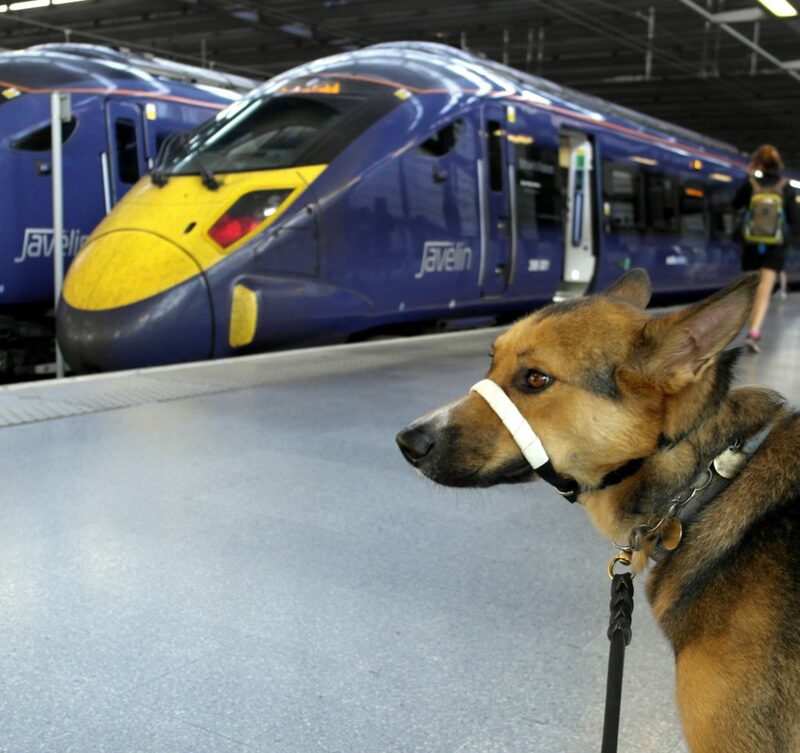 If you are not sure if this would work for your dog, it could be the case of taking another route (for instance the 7-hrs TGV to Milan) or bring a pad, but being very careful that no mess is made. lovely to hear you now feel excited about the travel, it is definitely an adventure! Good luck with your journey!